Experimental Film MA produces graduates with amazing success stories, with film festival and moving image sector successes. "Thank you so much for your support for the film and the ICA screening! It was a great experience to present the films and do Q&A there. I almost feel like I want to start over the course... I'm so glad this course exists with all these amazing people." Chiemi's 'Entanglement of Consciousness' has been selected for European Media Art Festival Media Campus International screening in 2019. 2016 MA Experimental film graduate Graeme Arnfield has since been presented worldwide: including Berlinale Forum Expanded, International Film Festival Rotterdam, Courtisane Festival, Sonic Acts Festival, Berwick Film & Media Arts Festival, Hamburg International Short Film Festival, Kasseler Dokfest, Internationale Kurzfilmtage Winterthur, LUX, Institute of Contemporary Arts (ICA) and on Vdrome. Graeme also works with Sasha Litvintseva, another 2016 graduate of the programme, who has since completed a Phd at Goldsmiths University. Experimental Film MA graduate, Florence Kennard has picked up a number of accolades for her short films which have been creating a buzz in the industry since she graduated. 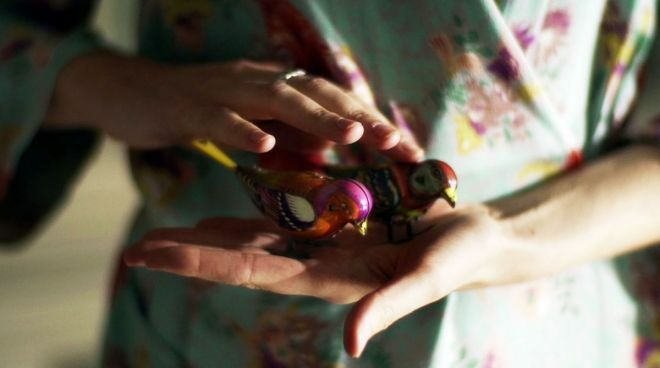 clips from her short film, Automatic Dreams, featuring in a BBC piece about the enduring appeal of Swiss music boxes in the modern, electronic age. A film by Experimental Film MA student Jacob Dwyer was selected to be screened as part of the main programme at the 2011 International Documentary Film Festival Amsterdam. Jacob's film was one of only 10 chosen from the DNN collection, which currently stands at 258 films. Jacob made his film Wires during a mentoring programme at the BFI this summer, where he was guided by professional artist and filmmaking Phillip Warnell (who is also the course director for the course at Kingston). To view his film, please visit his website. Keep in touch with news, events, awards and generally what's going on with the film courses at Kingston University.